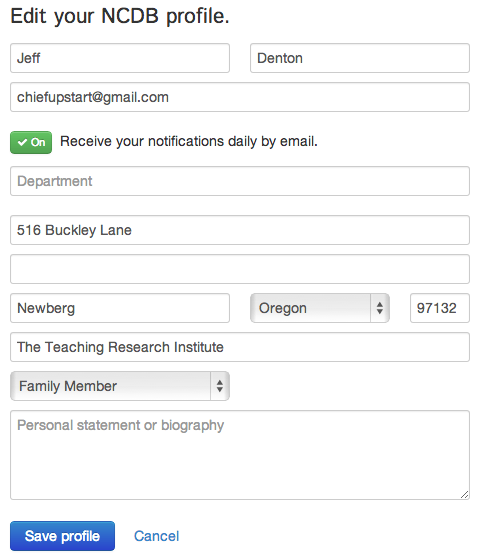 How do I change my email address or other contact information? To change your profile information including your email address, name, and contact information, first go to My Profile by clicking on your name in the upper-right portion of the screen. Then, click the gray Edit button to the right of the screen. 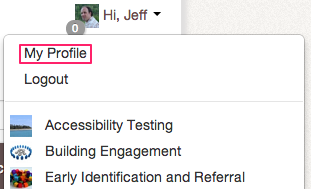 Once you click the Edit button, a form will appear that will allow you to change your desired information. When you are done editing, click the blue Save button at the bottom of the form.